Liverpool booked a 12th European final with panache against Villarreal and while Jurgen Klopp is undoubtedly the chief architect of the Reds next crack at glory, a small portion of credit must be reserved for his Anfield predecessor. Launching the long and winding road to Basel by overseeing two draws against limited opposition (Bordeaux and Sion) is hardly reason enough to mention Brendan Rodgers in dispatches, should Liverpool go on to lift the trophy. The ‘Klopp effect’ is clearly rubbing off on all those connected with the English giants, especially those kicking the ball in Red. However, it’s fair to say that nearly all of Rodgers’ widely-criticised purchases have exceeded the levels predicted when the former Swansea manager got the axe in October. The make-up of the new 8/11 favourites for Europa League glory unequivocally has Rodgers’ stamp it. When the Northern Irishman lost his job back in October following a grinding start to the 2015/16 campaign, a raft of supposedly sub-par signings hung around Rodgers’ neck like an anvil. Serious question marks over expensive buys such as Dejan Lovren, Mamadou Sakho, Roberto Firmino and Adam Lallana haunted the doomed Reds boss. Many doubted whether £10m apiece duo Divock Origi and Emre Can were of requisite quality to dig Liverpool out of the trough of mediocrity they appeared to be falling into either. 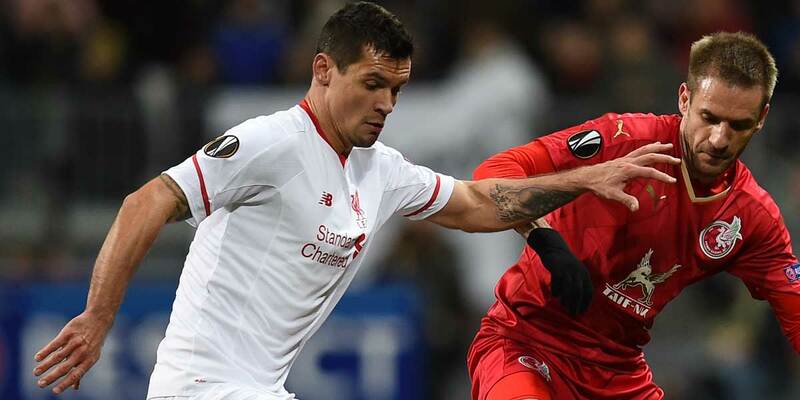 Before his ill-timed suspension, Sakho was fast becoming a favourite of the Kop, while Lovren’s Anfield stature has rapidly increased over the second half of the season, illustrated by dominant displays in the latter rounds of the Europa League. Lallana and Origi have been key cogs in attack over recent months alongside assist-machine James Milner, who is surely one of the most astute free transfers of recent Premier League seasons. Meanwhile, Nathaniel Clyne looks set for the Euros with England after a very competent debut season on Merseyside. Firmino has hit double figures in his first season and it’s easy to forget that Philippe Coutinho and Daniel Sturridge were both snipped for absolute bargain prices under Rodgers. Christian Benteke’s rough ride makes him the exception to the rule and Lazar Markovic’s absence on loan is also a pretty damning reflection of his Anfield career to date, given his hefty price tag. All in all, Klopp’s cult of personality and style of football have been the defining factors. But for a manager who was indicted on his transfer dealings as much as results, Rodgers’ can afford himself a pat on the back at least.